ProArbs has just been released in a beta testing form – which means it is FREE (good news for everyone out there who wants to test out this arbing thing for a while – always take advantage of a free ride when you are given one!). It looks pretty good so far, web based and pretty simple to use. The developers are promising much more ongoing work, with new bookmakers regularly being added as well as intentions on operating their own forum where users can provide feedback and request features etc. After a few more improvements, including a general odds comparison service and addition of a couple more sports and bookmakers, they will move out of the Beta stage and start to charge a subscription fee for access, so take advantage of the free while you can and see if you can help them make this another service which is worth paying for. Surebet Monitor are offering a free 7 days to anyone subscribing to their email list. Worth doing to get another alert service trial/extension, and keeping up to date with another fast moving alert service. Also, register with the ‘sag’ referal code, and you get an extra 3 days on top of that seven just for subscribing. Also, don’t forget that with the ‘sag’ referral code, you will also get an additional 7 days added if you purchase a month or longer subscription. This is to inform you that we are currently offering special newsletter promotion, so you can easily get +7 Surebet Monitor subscription days for free. We decided to define such offer to improve communication with our clients and to select group of people who are actually interested in Surebet Monitor improvements and promotions. All you need to do to get this extra free week is to subscribe to our newsletter. 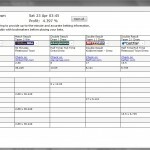 This offer is limited in time and is valid till 23-11-2011.
http://www.surebetmonitor.com/newsletter/ afterwards follow this by sending us an e-mail with NEWSLETTER code at support@surebetmonitor.com and enjoy your free one week subscription. This offer is also valid for Users, who already subscribe to our newsletter to keep them in a game and appreciate their efforts. · This offer is valid only till 23-11-2011. Subscription to newsletter after this date will be excluded from promotion. Dear Aegist, firstly congrats on publishing a truly informative arbitrage guide. well done. My question is ,how do the arb services get their data.? Do they pay for a feed from each bookie? My understanding about how alert services get their odds is from 3 main sources – I think the most common source of bookmaker odds for arbitrage alert services is the XML feed directly from the bookmakers who offer that service. This data is sometimes supplemented with a third party XML feed who provide odds which they have aggregated from numerous bookmakers, although I may have those two sources back to front – the third party might be primary, with supplementation from free bookmakers. Anyway, OddsMiner.com is one such example of a third company source of odds, and it is through companies like them that most of those odds comparison websites out there get their odds feeds. 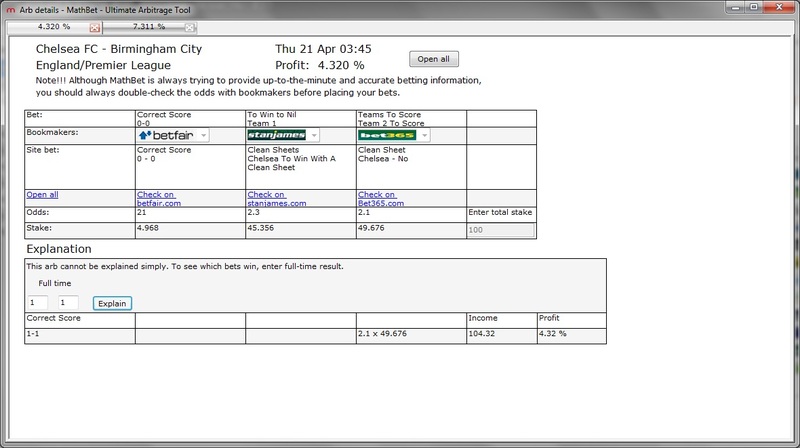 The third option is direct HTML ‘scraping’, which is where the alert service owner creates a bot to scan the bookmaker websites directly, much like Google does to index websites for their search engines, but instead of trying to store all of the data on the page, this bot is designed to just grab the odds for each market and store them in a useable form – and do it quickly, and often. All three methods have the advantages and their problems. 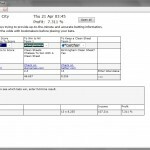 Direct XML feeds from bookmakers are free, which is a huge advantage, and the bookmakers want you to use them. However, not all bookmakers offer them and those that do still control what sports and odds are covered in them, often providing only selected offerings – usually the most lucrative ones for them. The users have no say in what odds they can get, and as anyone who has ever used an alert service knows, sometimes the XML feed odds simply don’t match up with the odds on the website! 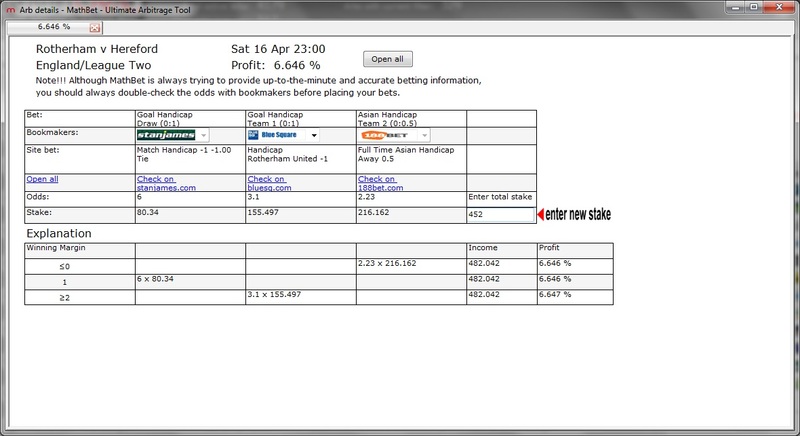 So you have to accept that the free, bookmaker preferred system is not always the best data source for the users. Direct HTML Scraping is much more reliable when it comes to the odds collected. Because the system takes the odds directly off the website and reports them asap, the odds are reliably what a user will find when they visit the website themselves. The creator of the html scraping program can also control what pages, and therefore, which sports and odds are scraped – so there are no restrictions to what odds can be collected. It is also free – ignoring the time/effort requirement to develop an adequate scraping program, and then maintain it with respect to the bookmaker website ie: If the bookmaker changes their website layout, the scraper needs to be updated to match the new layout. For all of the benefits of HTML scraping though, it has the significant problem of requiring constant HTML access to the bookmaker website for re-scraping. In order to keep your scraped odds up to date, you need to scrape the whole website regularly – for arbitrage purposes, ideally you would scrape it every minute – but no website owner wants a bot hitting their website and loading every page on it every minute. That wastes their bandwidth, slows down the website for all of their users and costs them money. So any ip found repeatedly hitting a page at that frequency will usually be ip-blocked by the bookmaker. So you need to be much more clever with how you scrape the odds from bookmakers. Third party odds providers cost money. In return for that, you get a feed of odds of whatever sports, markets and bookmakers you want, without all of the other hassles. However, these data sources are still never perfect. I don’t know exactly how they get their odds, but I suspect it is a combination of bookmaker XML (probably in a closer partnership with the bookmakers, so they can get a better source and get more books than most common people), and possibly some html scraping used too. But I really don’t know. However they get their odds, the odds are still not perfect, but they are useable and mostly good enough. I think the biggest cost of using a third party odds provider, aside from the financial cost, is that you lose any unique advantage that you might be trying to claim. If everyone has the same source of odds, then every alert service is going to look very similar where it counts (what arbs it finds). Nonetheless, I think this is the most common source of odds because the simplicity of just letting someone else take care of it for you cannot be ignored. Some more great information on this topic can be seen on OddsMiner’s FAQ page. These arbs were real, placeable arbs which paid out without any problems. Sure, they happen to involve the usual quick to limit books, but as Mathbet continues to extend its bookmaker list to more of the long-lasting bookmakers, tell me you can’t also see the power of a service which finds arbs like those?!?? Look at those arbs again! It is actually, automatically, with amazing accuracy, comparing all of the handicap markets and finding arbs. Comparing ALL of the total goal markets. That includes exact score, over/under, alternative over/unders, team goals etc. Plus, not only do they do this same comprehensive analysis of half time markets (both 1st half and 2nd half), but they even find arbs which covers 1st half and full time bets, in a real arbitrage manner. Plus corners, including corner bets for each half. 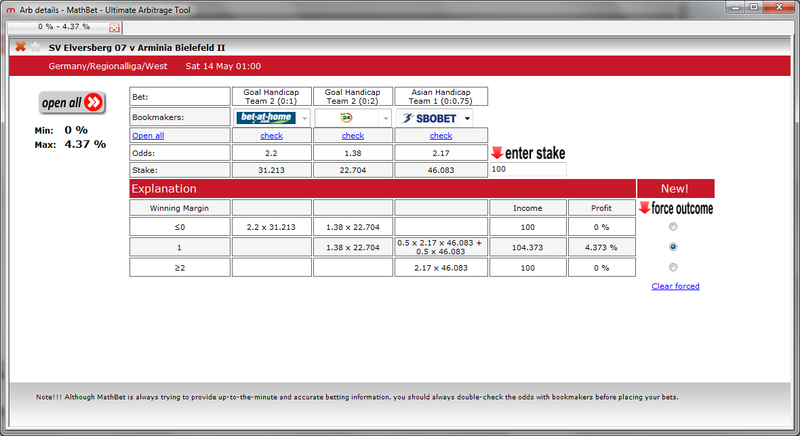 When you realise how comprehensive Mathbet is with their arb finding algorithm, you will get excited too. Not just because of how good it is now, but because of how good it will be when it expands. They only cover about 26 bookmakers at the moment. They only analyse football, tennis and European Basketball. When you have the “full cross-market support” that Mathbet has, every new bookmaker. Every new sport. Every new set of odds which is pulled in to their system, will increase the number of arbs found significantly. I feel sorry for the guys who have been around for years, finding these excellent abstract arbs which most people wouldn’t even think about looking for. And now Mathbet comes on the scene and BOOM. It finds all of them. Mathbet has just changed the game. All of the other alert service out there will now be re-analysing what they do, trying to figure out how to better cover these sorts of arbs. Because the world of arbitrage has just changed. This has been coming for a while. 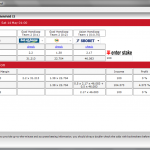 Arbitrage alert services couldn’t continue to exist on 1×2 arbs, DNB, asian handicap and mixtures of the three. Sure, these still come, and people will keep profiting from them. But as the number of arbers continues to grow, so too does the number of arbitrage opportunities provided by the alert services. Register with Mathbet now and take advantage of their free seven day trial to see it in action. As with any new alert service, there is always room for improvement. The most obvious has already been mentioned – Mathbet needs to get out from under its “Soccer is the only real sport” state, and start to explore all of the other sports out there. It currently covers some Tennis and European basketball, but soccer still takes up at least 95% of all of the arbs in Mathbet. They also need to expand in to some more sportsbooks, particularly some more international ones. basically, at the moment, Mathbet is completely Europe facing. There are virtually no sports or bookmakers outside of Europe in it. It needs more American and Australian books and sports. But this sort of growth is inevitable, and has already been marked as a major focus by the developers. Secondly, the interface is still pretty weak. At first I hated the interface quite a lot – but I quickly realised that when every arb has as many variations in it as Mathbet’s arbs do, then grouping common arbs is actually quite challenging. There may be 10 arbs for the one game, but each variation may actually use different bet markets to achieve a similar outcome. However, I do still think that introducing the ability to filter out arbs which have the same bookmaker in it twice (for selected bookmakers) would be very handy. 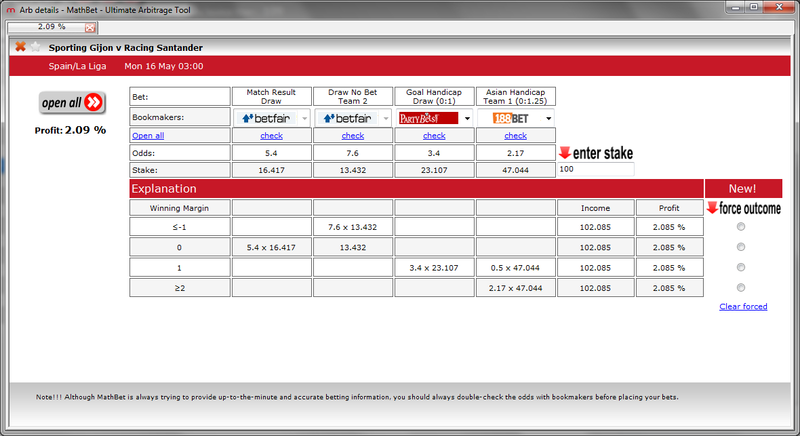 There is just no way you can place an arb which has Bet365 for two of the bets. 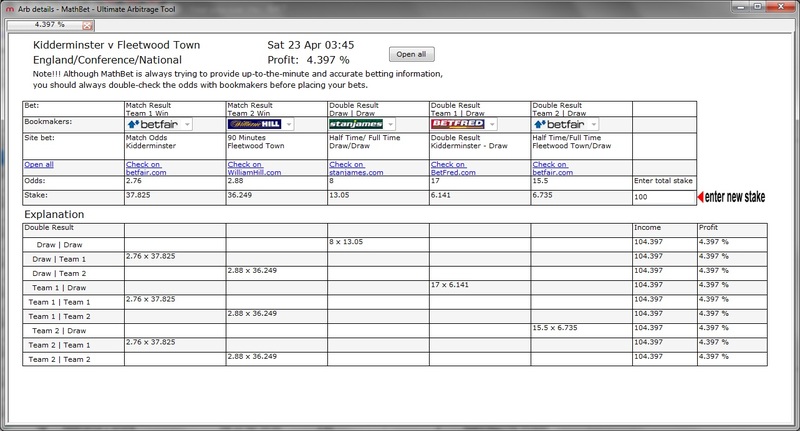 Gamebookers actually has it built in to their bet slip that it won’t allow you to place the bets, for example. So every arb which requires two bets to be placed on the same game at those sorts of books, is actually, basically, an erroneous arb report. With more improvements on the way soon, you can guarantee that Mathbet is going to quickly become a new market leader in the alert service world, because you would be mad to not use it. Register with Mathbet now and try out their seven day free trial. After that, a one month subscription is only 89 – which is damn cheap for the service you get from them. So it seems like a new heavily marketed arbitrage alert service called 100 percent winners has recently been launched off to the side of the arbitrage world. I had seen nothing about it in any of the arb forums, and was certainly not contacted myself by them to add their service to my listing of alert services – which seems a bit odd, don’t you think? A company which is doing a major marketing campaign (and I mean major), not contacting the most trafficked and well recognised website about their service to get it listed for free on the alert services listing page??? It is almost as if they are only interested in non-arbitrage people knowing about it – ie: people who don’t know better. I’ve read a few negative comments about them already, and had it pointed out that they have even succesfully crowded out the “100 percent Winners Scam” search results on Google. So if you search for that, you will just get more of their own marketing. Which is clever. I have to say – these guys certainly know what they are doing – marketing wise. I don’t have a chance right now to give a detailed report on this, but when I get back I will be doing much more research and will post a thorough break down of what visitors from 100% winners need to know. UCantLose is currently offering a 2 months for the price of 1 deal. The usual cost of Ã‚Â£47 for one month, is now getting you 2 months worth, 56 days in total. As usual, UCantLose comes with a range of other special offers too, including a 6 month subscription to Gambling Online Magazine, entry into a draw to win a free 3 month subscription, and other offers. Go have a look at UCantLose. 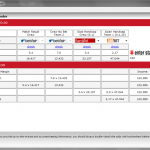 ArbAlarm is about to be released as part of a new total package deal under the name of Sports Arbitrage World. Before I get into all of the details of what has happened and what is going to happen, the important thing for everyone reading this to know is this; if you go to Sports Arbitrage World now, and register (free), you lock in a lifetime of free arbs each friday. So, for zero cost, you get ArbAlarm working for you every friday for the rest of your life. That is incredibly generous, and an offer too good to not act on immediately.